In office for three terms since 2002, and enjoying a strong parliamentary majority, the ruling Justice and Development Party (AKP) has demonstrated a growing intolerance of political opposition, public protest, and critical media. The most positive components of the report addressed on-going reforms and negotiations with the Kurds. Positive steps included ending the headscarf ban for women in the civil service; signaling that the 10 percent election threshold that has kept minority parties out of parliament will be lowered; and easing the restriction on mother-tongue education by permitting it in private schools. The government made important initial steps in a peace process with the country’s Kurdish minority. 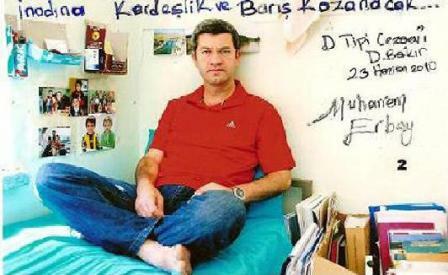 At the start of 2013, the government announced talks with imprisoned Kurdistan Workers’ Party (PKK) leader Abdullah Öcalan to end the decades-long armed conflict with the PKK. Bolder steps to address the rights deficit for Turkey’s Kurds could address the root causes of the conflict and help further human rights for all ethnic and religious minority groups in Turkey. Significantly, the government and the PKK maintained a ceasefire through 2013 and there were no deaths reported on either side. The weight of the Turkey section was, however, deeply critical of attacks on freedom of expression, association, and assembly, excessive force by police, and impunity. The government’s response to the Taksim Gezi Park protests in Istanbul and anti-government protests in other cities demonstrated its intolerance of the right to peaceful assembly and free expression. The authorities charged hundreds of individuals involved in the protests—mostly in Istanbul, Ankara, and Izmir—with participating in unauthorized demonstrations, resisting the police, and damaging public property. Several dozen people face additional terrorism charges in connection with the protests. Around 50 protesters remained in pretrial detention at time of writing. A criminal investigation into the organizers of Taksim Solidarity, a platform of 128 nongovernmental organizations supporting the Gezi Park campaign and sit-in was ongoing. The mute or biased coverage of the Taksim Gezi protests in much of Turkey’s media highlighted the reluctance of many media companies to report news impartially when it conflicts with government interests. In the course of the year, scores of media workers, among them highly respected mainstream journalists and commentators writing critically of the government in different media, were fired from their jobs. in prison on these charges. Others were prosecuted under statutes which otherwise limit free speech, including famed pianist Fazil Say. 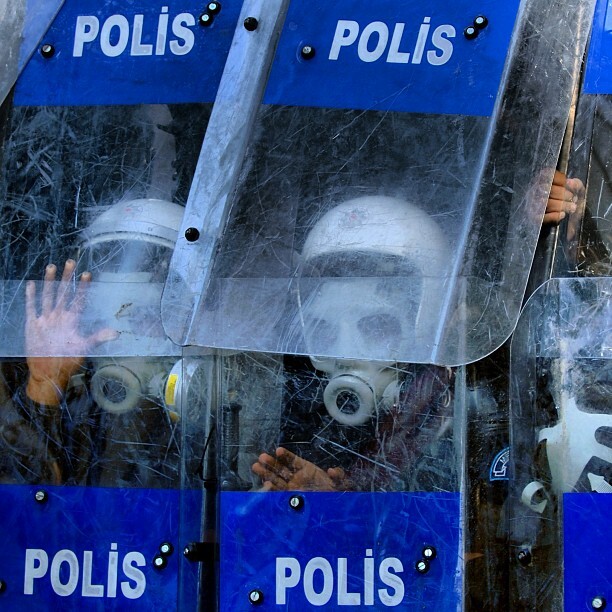 The final sections of the Turkey section addressed excessive use of police force, both during the Gezi Protests and elsewhere and the on-going question of impunity. 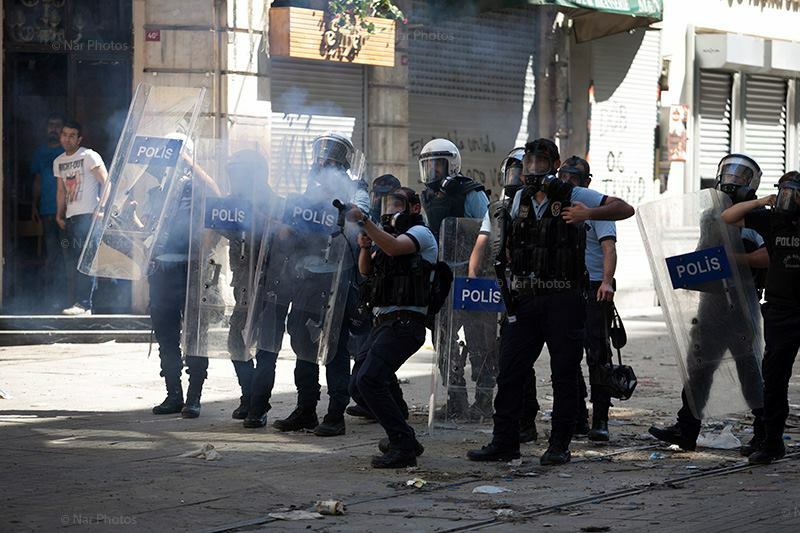 The Taksim Gezi Park protests saw police repeatedly disperse protesters, most of whom were entirely peaceful, with water cannons, rubber bullets, and teargas, resorting to excessive use of force and beatings of detainees. Police also unlawfully shot teargas canisters directly at protesters, leading to scores of protesters receiving serious head injuries as a direct result. In June 2013, the Diyarbakır prosecutor’s office said it lacked jurisdiction in the case of an attack by the Turkish Air Force in December 2011 that killed 34 Kurdish villagers close to the Iraqi Kurdistan border near Uludere. The prosecutor referred the case to the military prosecutor, but the lack of an effective investigation to date supports concerns about an official cover-up. This entry was posted in Amnesty International, Excessive Force, Freedom of Assembly, Freedom of Association, Freedom of Expression, Hrant Dink, Impunity, Kurds, Minorities, PKK, Press Freedom, Religious Freedom, Turkey and tagged Censorship, criminalization of dissent, Diren Gezi, Erdogan, excessive force, Fazil Say, Fourth Judicial Package, Freedom of Assembly, Freedom of Association, Freedom of Expression, gas canisters, Gezi Park, hrant dink, Human Rights, human rights watch, impunity, Journalists, Justice and Development Party, Kurds, Muharrem Erbey, Press Freedom, Roboski, Taksim, Uludere. Bookmark the permalink.